Kmart World: Special Report: Sears Grand, Viable Concept Gone To Waste? Special Report: Sears Grand, Viable Concept Gone To Waste? Sears Grand is one of countless concepts rolled out by Sears Holdings, but one that had great potential. Back in 2003 the first Sears Grand store opened in West Jordan, Utah, followed by 4 other locations, including one in Las Vegas, NV. The Review Journal has an article about Sears Grand and the Las Vegas location. In the article Sears Vice President, speaking of the Sears Grand concept said "This offers us an off-mall growth opportunity." A few years later that opportunity turned out to be Kmart and the Sears Grand concept was all but abandoned. So here we are in 2009, Sears and Kmart are both struggling and still trying new concepts (mygofer anyone?) to little success. What if Sears would have went with Sears Grand and rolled it out nationwide? Would things be different for Sears Holdings today? One thing to remember is that the Sears Grand concept was developed and opened just before the Sears-Kmart merger. Sears Grand was the brain child of the then CEO of Sears. Once Kmart purchased Sears and Eddie Lampert began his rein of the companies, all previous concepts and ideas pretty much died in their current form. What Lampert did was a cheap remodel of some Kmart locations into Sears Essentials, Lampert later dumped the Essentials and renamed them all Sears Grand. Unfortunately those Sears Grands were just Kmart's with an expanded assortment of Sears items in a cheaply remodeled store. The thing is the original Sears Grands were pretty much a hybrid of a Sears and Kmart store. They weren't a Kmart with a few Sears items thrown in though. They were a from-the-ground-up new store. Below you will find the Sears Grand Fact Sheet, that will give you an idea of what to expect at one of the few original locations. Sears Grand is a one-stop home and family solution center that delivers a mix of quality products such as Sears' proprietary and national brands that no other store provides. Everything busy people need to maintain their homes and keep their family on-the-go can conveniently be found here, under one roof. Sears Grand is a one-level store that carries everything from milk to refrigerators, bathing suits to sun block and car seats to baby food. Sears Grand offers the best of what Sears is known for – appliances, lawn and garden supplies, electronics, tools, automotive products and services, sporting goods, apparel and hardware – with an innovative mix of convenience-inspired items - health and beauty products, greeting cards, dry grocery, pet food and magazines. 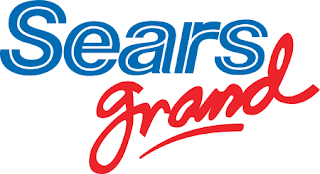 Sears Grand offers a mix of quality brands that no other retailer offers, such as Kenmore, Craftsman, Lands’ End, Die Hard, as well as Nike, CoverGirl, GE, Levis, Sony, Carters, Huggies, Apostrophe, KitchenAid and more. 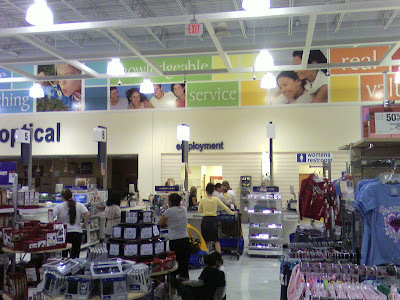 Sears Grand’s unique product and service offerings enable multi-tasking families to efficiently manage their busy lives and households. Sears Grand product categories include: apparel, appliances, lawn and garden, plant nursery (in some stores), sporting goods, toys, baby care, cleaning supplies, mattresses, home/seasonal décor, pantry items, pet food, cards and party supplies, books, magazines and electronics (TVs, CDs, DVDs, games). 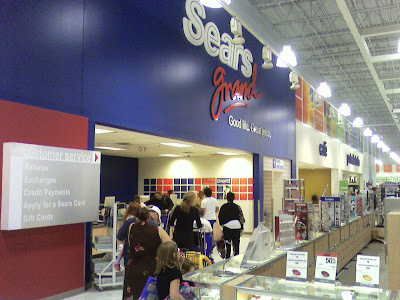 Shoppers also will find an array of convenient services at Sears Grand including: an auto center, custom paint mixing, window blind cutting and key cutting. The Sears Grand concept was created based on what customers want and need. 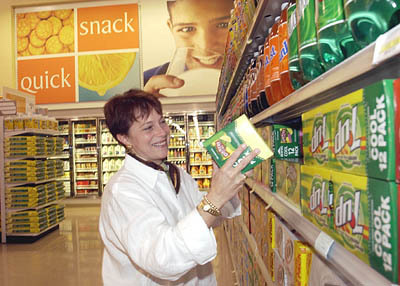 The one-level store is brightly lit with wide, uncluttered aisles and easy checkout lanes at the exit. A racetrack format combined with colorful, bilingual signage make it easy for customers to navigate the 165,000 to 210,000 sq. foot stores easily. Additionally, price verifiers throughout the store enable customers to easily identify the price on any product or call for assistance if needed. To make the shopping experience even more convenient and fun, Sears Grand features shopping carts that have a kid-friendly racecar theme and are equipped with cup holders for mom and dad. The stores also feature convenient services and a café where busy families can grab a bite to eat. Special thanks to Erica n Juan on Flickr for the three photos below. This is the Sears Grand in Austin, TX. So there you have it- Sears Grand, a viable concept gone to waste? What do you think, did Eddie Lampert make a mistake by not continuing the expansion of Sears Grand, or was it just another disposable concept? I vote for "disposable concept." Sears hasn't had the wherewithal to see anything through in decades. The original Sears Grand prototype was a viable concept, but Sears Essentials only dumbed down the concept to a cheaply remodeled Kmart. Sears Essentials seems to have been born as a cheap way to acheive the conversion Kmart as well as an alternative format if the Kmart name proved to be too negatively associated with failure. Eddie Lampert hasn't addressed problems such as out of stocks, outdated stores,and poorly located stores at Kmart, or price-value image at Sears. If Sears Grand had been expanded to a national presence, Sears mall stores could have survived by becoming more soft lines oriented and slightly more upscale than the current Sears format. While this would place them back into direct competition with JCPenney as well as with Kohls, it would broaden Sears appeal to todays consumer. Sears Grand would then have a hard lines offering that Walmart and Target couldn't rival, with a more appealing store than Walmart and better price-value image than Target. I actually worked for Sears at the original concept store in Jordan Landing. I agree completely that abandoning the project was about as idiotic a thing that they could do. Not a peep of advertising went into marketing these stores except monthly ads --that probably confused customers unaware of the Grand concept-- that usually went unnoticed. Even though we were barely marketed, the store was a sustained success...that is, until the Kmart merger. What I find confusing about the whole thing is that Kmart didn't "really" buy Sears...Kmart stores bought Sears Stores, in turn Sears Holdings bought Kmart holdings, so the bigger fish in the merger (obviously since Kmart had very little capital) was Sears. I think Alan Lacy, Teresa Byrd and all the other execs (many of whom I met, if not regularly) had a hell of a concept and Lampert just came in and turned it into a joke. Personally, I think Lampert was too nostalgic about the Kmart brand and didn't want to rebadge it. However, Kmart has spent too many years in the trenches and cannot get away from the "ghetto" image. You'd have it much easier convincing consumers that Sears has become cost-effective and again chic than you would convincing them that you won't get mugged in the dark aisles of Kmart. I say WAKE UP Lampert...you obviously haven't done your job. Oh yeah, and thank you for the near TOTAL loss on my 401k...with the quality name of Sears and the powerhouse of brands and infrastructure of Kmart, it's impossible to excuse your failure. Push ahead with Sears Grand...make it the new face of Sears...you know that the mall anchors are dying, anyways. I live in Austin--have been here for 30 years--and to the best of my knowledge there has never been a Sears Grand store here. I just shopped the Sears Grand here in Austin (I-35 & Parmer - N E Corner of intersection) and it seemed like the "k-mart" side of the store (perishables, snack foods, cosmetics, drugs, sundries and even pet food) is horribly neglected and/or misaligned. Many of the perishables were out of date, and several items were so over priced ($5 for a small jar of Miracle Whip) they will be on the shelves forever. The bagged snack food section has brands and flavors found nowhere else in Austin (Or I suspect Texas) with such flavors as "Kansas City Steak" flavored potato chips, and NECCO candies (Glad to find these - last saw them in New England about 1992 - unfortunately, the bag of DeHaviland Chocolate, when opened, seemed also to be from 1992 - gray and inedible.) I have found a few bargains, mostly in the clearance sections, but most items were about 20% higher than the Wal-Mart across the street or at the SuperTarget in the same shopping center further north. (Why Sears built their Sears Grand here with these two competitors nearby and a huge HEB (Supermarket with expanded dry goods) next door is unknown) but the Sears side of the store with linens, clothes, appliances and such seemed to have some business, but I was lonely in the K-mart side for sure. The next nearest K-Mart is about 60 miles from here in Killeen, then about 250 miles from there, so I guess this is why they keep this one in place since it is probably easier to send trucks to fill the food and stuff to two stores in the same area instead of one. The concept looks like it could work if they put some energy and advertising into the "Grand" concept, but I am afraid it looks almost like someone at Hoffman Estates forgot they have that part of the store there and it is just a placeholder until they figure out what to do with the floor space. They already closed the garden section, so ironically if I wanted to get some of the basic K-Mart supplies I used to get there (or when they had stores here in the 90's) I have to go to Killeen, or more likely, Wal-Mart across the street. I work at the Sears Grand in Austin, TX (the one in the photos above) having formerly worked at a KMart. Personally, it feels like Sears here, with a small pantry thrown in for good measure. With three other Sears stores in town, we are more than holding our own. Sears in general is doing great, being the only nationwide chain that had cash on-hand during the 07 to 09 crash. Sears no longer owns Discover, and thus no longer relies on the store credit cards to push them through the hard times. Instead, Sears seems to be paying closer attention to what works and what doesn't. If an idea comes down the line and doesn't work out in the first couple of weeks, the company moves on quickly. That is a major plus for me, since I am used to Kmart where the store managers are held to blame for bad planing instead of the idiots that came up with them. I just started in appliances not long ago at a full line Sears store that was formerly a mall anchor and is now a stand alone (they tore the mall down.) First, I have to say, I have to disagree about the company not pushing store credit cards. All I have heard about is credit apps, credit apps, credit apps! And why anyone would want to open an account with them is beyond me with the APR at 29.99% - that is outrageous. My Khol's card is only 20% - my credit score isn't as great as it could be. But in the short time I've been there, it seems there is a real lack of executive level leadership within the corporation. Even my manager told me they are great at introducing new concepts, but horrible with the follow through. I completely agree with what Ken said above - Sears Grand would have been a great national concept - handling more of the hardlines while the mall anchors could have went more upscale and comparable to JCPenny's/Khol's and the like. 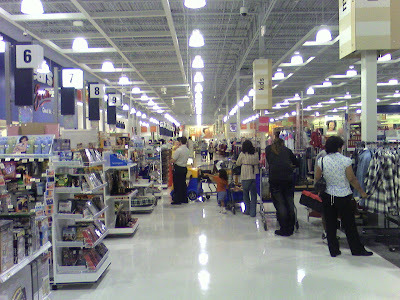 The biggest thing I noticed at my store is they have too many departments crammed into the store, and therefore not a great selection of merchandise. We barely carry any men's clothing and if we do, it's not stylish. I say they need to start simplifying the entire Sears/K-Mart concepts. First, I would ditch the K-Mart name all together - I don't know of anyone that goes to either of the K-Mart stores in our area to begin with. It's just got a bad reputation, and prices are that great from what I've seen. Start converting K-Mart stores over to a hardline appliance/electronics/home improvement concept. A great combination of say Lowes and Best Buys. Take the mall anchor stores and make them more upscale softline stores with home decor, furniture jewelry and clothing. Obviously this is very general idea, but some sort of concept along this line is what I'd say they need to do if they want to stay relevant and competitive. 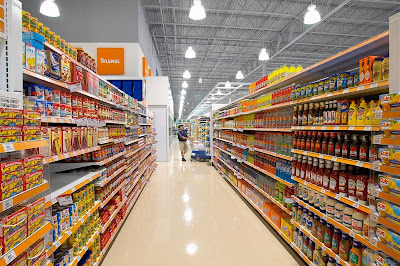 Just simplify and work on re-imaging/branding the areas that aren't working - and ditch K-Mart's name and concept - the market is saturated with too many other stores like them. (And I just stay ditch K-Mart simply because the parking lots are ALWAYS empty at the two stores in my area because everyone is at Walmart/Meijers or Target). I think the whole Sears Essentials was a bomb. It shows especially when a Sears Essentials is now going back to Kmart in Bethlehem Pa. Sears needs to go one way and Kmart has to go in another direction. Kmart has become a dying store especially in Pennsylvania. Stores are empty no employees around to ask questions. Certain Kmart's have yet to be transferred over to carry some Sears products. Honestly get rid of the Sears products in Kmart. Second get rid of the brown and orange paint yuck. Kmart needs to become aggressive once again and go against Walmart and Target. There electronics department is horrible. Managers wonder why they don't sell TV's how bout turning them on that might help. Lower prices as well. What amazes me is how district managers have to go to there local stores and around here in Pennsylvania right across from a Kmart is a Walmart packed all the time. Kmart parking lot pick your spot and whatever cars are there usually its the employees who work there. Kmart smells. I mean literally. You walk into the store and can smell the grease wafting over from the Big K Cafe. Then you get to see all the fat, loud trailer park people with the missing teeth tripping all over themselves to get the last jar of Armour Lard. I personally think that they should take a gamble and convert this (Austin store only) into a test Super Kmart Center and bring the magic of Kmart back into Texas. Pushing into other Texas markets (Houston, Dallas) might be a bit of a hard sell, though, although Trader Joe's decided to jump into the extremely fragmented Houston grocery market, so there is hope. Change the name of K Mart back to the original SS Kresge Company. Market it as going back to basics and remodel the stores to a Target/Kohls design. Simple, bring products to a place where people want to shop at great prices. You will beat Walmart, Costco,(who's shopping environment is less than desirable) and maybe even compete with Target who does it right. You don't have to herd people into a warehouse to turn a profit. How do you do this...invest in the best people again. Start there and the rest seems to fall into place. My Dad was a Sears store operations and store manager for 28 years. He was the guy they brought in when stores were faltering and worked hard for many years turning stores to make profits and working to keep stores professional clean, and nicely branded. When they removed the real managers from the individual stores and tried to manage solely from HQ it was their downfall. Save a buck on people and wonder why modern day stores go down hill so fast. Investment in people in all positions is what makes those store appearance, product buying, operations, etc turn a profit. Only Target knows seems to know what it takes to make people come in. Beautiful well kept branded stores, reasonable prices, unique products. What Sears used to be. Sears Grande, (live right next to the first one in West Jordan), was oozing with potential, too bad. Just went to the Sears grand in Las Vegas Nevada. They took out the grocery/beauty section and added a home and expanded baby section. The store was full of people. I love Sears grand but wish they didn't take out the grocery section, I had to stop at target nearby for milk and some other stuff. Overall I can tell you that Sears grand in Las Vegas will not close anytime soon. I go there for my oil changes, tools, etc and everytime I go it's packed. I think all Sears and Kmarts should of been turned into Sears Grand. They could of been big like walmart. We had a Sears essentials and it was better than Kmart. Pull. The. Plug. It’s done, it’s over with, there is nothing you can do about it now. Your time has passed. So much so that even Stevie Wonder can see the writing on the wall. You sell merchandise that only seniors with no disposal income want. I used to love to shop at Sears, in the mid 1980’s, when you carried exclusive Star Wars toys, and those slippers from The Goonies R Good Enough video by Cyndi Lauper (remember the kids wore them, they looked like feet with green hair on them, but anyways, I digress) now the only thing that you exclusively carry is nostalgia about what once was, and never will be again. I was in a Sears store in early 2018 and you still carried blank VHS tapes. Yea, I’m not even going to make a snarky remark about that one, it’s just too sad. Amazon didn’t kill you, it was suicide, plain and simple.